Slime welcomes the future grime mastermind Threnody back to the label for his debut album, ‘Shadow Motion’. Riding high after releasing the single ‘Envy’ to much acclaim, here he continues down his singular path of production and extrapolates the ice-cold rhythms and melodies of his former work into a more dynamic template that further reinforces his standing as one of the most innovative artists working within this genre. From the cascading bass stabs of opener ‘Fractured 2’ to the chilling bleeps and heavyweight rhythms of ‘Tribal’ , Threnody plays with the medium more than most would dare, productions bursting at the seams with energy and innovation. Half-step grooves meet house beats through the grime cypher with incendiary results on killer tracks like ‘Bash’ and the cinematic ‘Octopode’, whilst on ‘Hologram’ the science fiction overtones develop into bubbling paranoia and icy shards of drum work. As the album evolves and mutates, every track confounds your expectations and delights in its own labyrinth textures, taking the listener past the pattern of the usual genre confines into a strange and unknowable wilderness of sound. 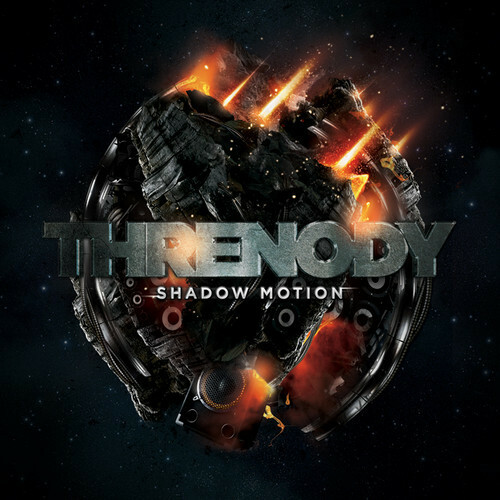 There are very few producers who can sustain this kind of atmosphere over an entire album, but Threnody has achieved something quite remarkable with ‘Shadow Motion’ and placed himself in that threadbare pantheon of the truly forward-thinking artist.